The Veterans Crisis Line connects Veterans and their families and friends with qualified and caring Department of Veterans Affairs responders through a confidential toll-free hot line, on line chat or text. They can call 1-800-273-8255 and press 1, chat on line or send a text message to 838255 to receive confidential support 24 hours a day, seven days a week, 365 days a year. Support for the deaf and hard of hearing individuals is available. Defense Officials approve expanded Veterans on-line shopping benefits. CLICK HERE to see how it will work. 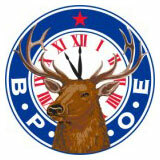 As our Fiscal Elk Year comes to an end, we want to give you updates on our recent donations. We made a donation to the James A. Haley VA Hospital, specifically targeted to the homeless veterans that they serve. The immediate need was for athletic shoes, rain jackets, toothpaste, toothbrushes, bar soap and baby wipes. We donated approximately $850.00, of these items, which included 39 pairs of shoes, 13 rain jackets, 27 packs of baby wipes, 93 bars of soap, 68 toothbrushes, 64 boxes of toothpaste, 33 packs of antibacterial wipes, and 20 pairs of socks. We were also able to donate an additional 32 personal care kits from member Dan Wait’s Sandpiper community. The kits were also tailored toward the homeless veterans and included toiletries, socks, hats, and puzzle books. A special thank you to Steve Masterton, PER and John “Mac” McArthur for delivering the donations to the hospital. We were once again able to donate to the Lakeland Veterans Center. 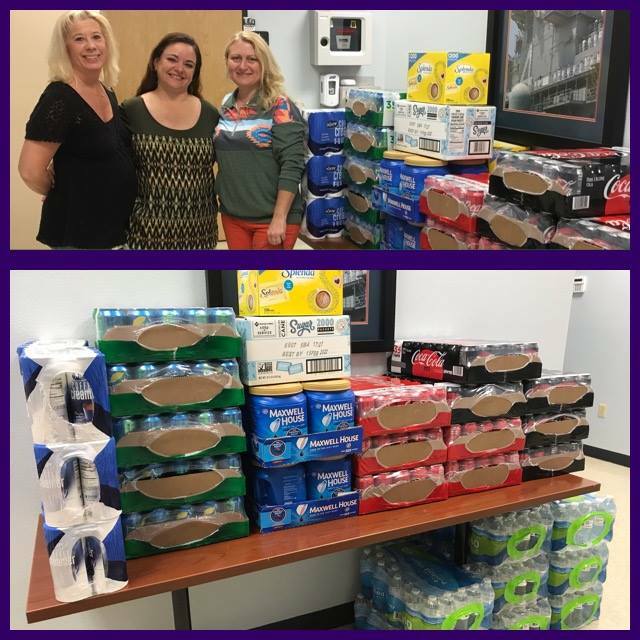 We donated $400.00 of beverages which included: 10 cans of coffee, 40 creamers, 1 box of 2000 sugar packets, 2 boxes of Splenda, 8 cases of water and 15 cases of soda. The facility does not have a provision for this in their budget. This donation will be used by local veterans during group and individual counseling sessions and takes the burden off of the veteran to provide it. Flight to Honor Mission #5 is scheduled for April 30th from Lakeland Linder Airport. As previously reported we have helped two of the James A. Haley Medical Foster Veterans with attending this trip. We would like to show our community that with Elks, veterans are our priority, and therefore, we would like to get a group of Elk members to go to the airport to show support at “Send Off” and “Return”. If you would be willing to do this, please let us know. We will post further details as it gets closer to the flight. In order to continue on with our ability to support veterans in need, please join us for our next fundraising event, which will be Friday May 17th, to honor Armed Forces Day. It will be a steak dinner by the McCoy Team with karaoke by Garry and Bob and we will have raffles. Mark your calendar to come out and pay tribute to all military branches. See our flier for further details. We would like to thank everyone who has helped make this another great year. It is because of you, the members, that we are able to make these things possible. Your support and assistance is truly appreciated. 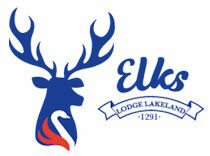 Lakeland Elks 1291 donated 40 cans of creamer, 1 box of sugar packets, 2 boxes of Splenda, 10 cans of coffee, 8 cases of water, and 15 cases of soda to the Lakeland Veterans Center. The facility does not have a provision for this in their budget. This donation will be used by local veterans during group and individual counseling sessions and takes the burden off of the veteran to provide it. Happy New Year from the Veterans Committee. We kept busy in December. At the December 12th, spaghetti dinner we had 11 James A. Haley Foster Veterans and their caregivers. Once again, the committee was able to make a donation of $1,000.00 to the Outpatient Foster Care Program’s patients. Each of their 25 patients in the program received a $40.00 gift card. Dan Waite and the Sandpiper Community were also able to provide the personal care packages to each veteran that included toiletries, puzzle books, socks and a knitted cap. We have donated $650.00 to augment the cost for the April 30, 2019, “Flight to Honor” for two of the Foster Program’s WWII Veterans. We were also able to assist the Lakeland Veterans Center again with $400.00 in gift cards for the Christmas needs of their veterans who are struggling. We would like to thank all of you for your help and support.